Does vital citizenship require moral consensus? Or is it the ability to organize our differences, that allows people to live together as citizens in a republic? 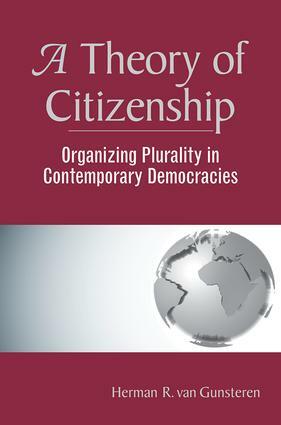 Whereas liberal, republican, and communitarian theories of citizenship analyzed the conditions of citizenship, the central message of this book is that the practical exercise of citizenship, under conditions that are far from ideal, is the main source of its vitality. Instead of arguing for more participation, it focuses on the citizenship of those who, for whatever reason, are already active in the public sphere. Herman van Gunsteren develops a theory of citizenship well suited to the era of political reform that was inaugurated by the revolutions of 1989.